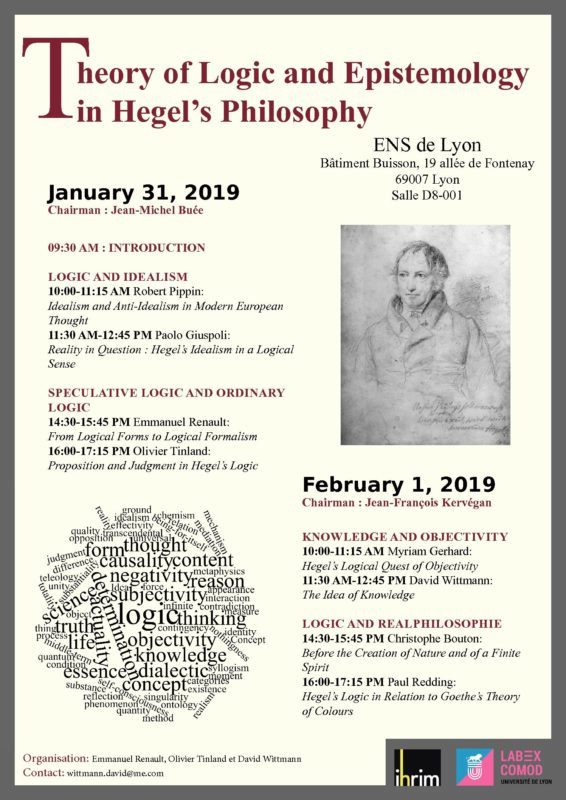 We are glad to give notice that a colloque international entitled Theory of Logic and Epistemology in Hegel’s Philosophy will be held at ENS de Lyon, from 30th January to 1st February. ORGANIZERS: Emmanuel Renault, Olivier Tinland et David Wittmann. LOCATION: ENS de Lyon, Bâtiment Buisson, 19 allée de Fontenay 69007 Lyon, Salle D8-001. For further information, please visit the event’s page.